THE Inland Fisheries Commission has taken a surprisingly low-key approach to the promotion of a huge event at the Salmon Ponds this weekend. 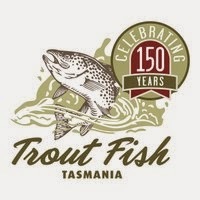 Open days at the ponds today and tomorrow will celebrate the 150th anniversary of the introduction of trout to Tasmania in 1864. The Salmon Ponds were constructed in 1862, based on plans of the Stormontfield Ponds on the River Tay in Scotland. The location at Plenty in the Derwent Valley was chosen as it was isolated, fed by cold, clear water from streams up in the mountains and because it was connected to the sea. After several unsuccessful attempts, the first live salmon and a small number of trout eggs arrived at the ponds in May 1864. Anniversary events this weekend include free entry to family days with lots of activities, entertainment, casting competitions, food stalls and more. A reprinting of Jean Walker’s book Origins of the Tasmanian Trout will be launched as well.